Unity Stamp Company: Stamp of the Week - Whimsical Birthday! Stamp of the Week - Whimsical Birthday! 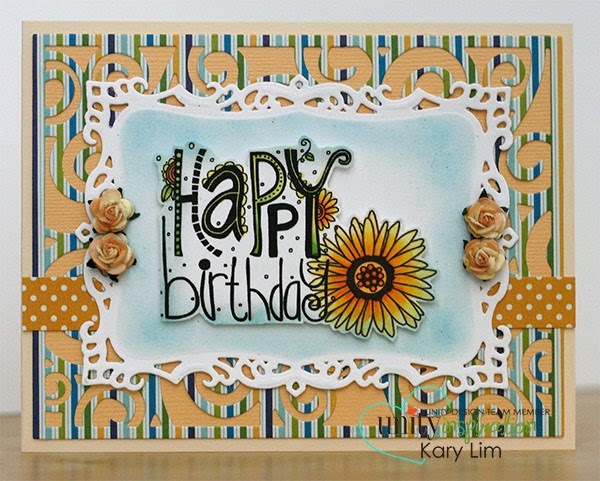 Hi, this is Kary back to share a new Stamp of the Week (SOTW) set. You can never have too many Birthday stamps and I love the simplicity of this Whimsical Birthday set. If you are new to the Unity family, you may be wondering how to get your hands on this SOTW set. SOTW is an Exclusive set that can only be purchased by becoming a SOTW member. For just $5.79 or $7.79 for International friends, you can have this stamp set mailed to your door, inclusive of shipping! How awesome is that! Click here to read all about how you can subscribe to be a SOTW Member.